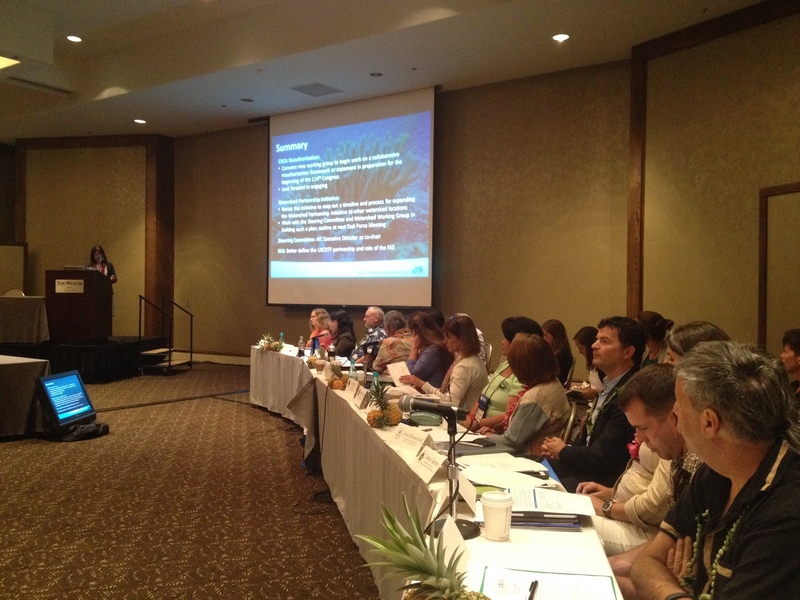 A unified voice for the effective management of coral reef ecosystems in the U.S. and Freely Associated States. AIC Meeting in St. Croix, November 12, 2013. 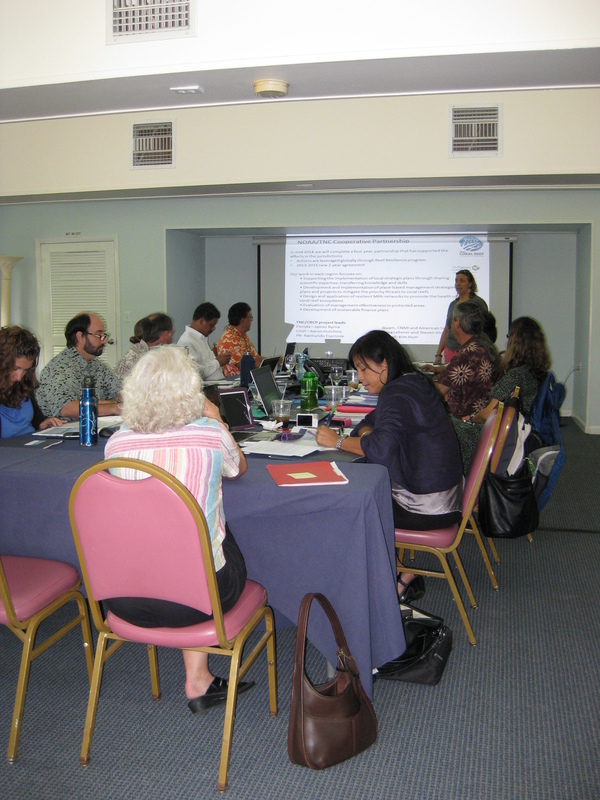 Members of the AIC meet in-person twice a year, coinciding with U.S. Coral Reef Task Force (USCRTF) meetings. AIC Meetings may be Open (open to invited guests and partners) or Executive (AIC members only). The AIC typically uses the time to discuss internal issues, introduce new members, discuss priority issue areas, and come to consensus on any outstanding AIC decisions. Time is also taken during the meeting for POCs to share information and talk about any concerns or issues. The Governors and Presidents of each of the AIC’s member jurisdictions and Freely Associated States are members of the U.S. Coral Reef Task Force (USCRTF). The Freely Associated States are non-voting members of the USCRTF. AIC members attend the biannual meetings of the USCRTF each year, typically with their Task Force member or member representative. At these meetings, the AIC Chair presents an update report, called the AIC Chair’s Report, and presentation to Task Force members on priorities, main issue areas, and accomplishments since the previous Task Force meeting. Links to previous reports and presentations below. implement strategies to promote conservation and sustainable use of coral reefs internationally. For more information on the Task Force and Task Force Meetings, click here. A blog about coral reef-related people, places, and projects in the U.S. and Freely Associated States.